Investing in a mutual fund for wealth creation is well known now. There is no better way of investing which can give you such a high return on your investment. The selection of mutual fund is also important to have a good return. 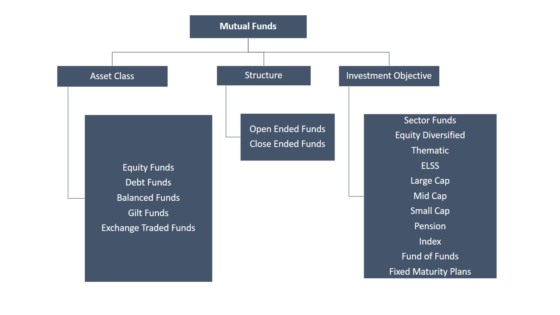 there are different types of mutual funds according to asset class, time period, structure and investment objective. Further to that, all the mutual funds have two types of same funds. The options are Growth and Dividend. During starting a new SIP, we always face the dilemma that whether we should put a tick mark on dividend option or growth option. I have known some persons who have done half of his funds in dividend option and another half of the funds are in growth option. They have distributed their investments in available two options. Let us explore which option is better – dividend vs growth mutual funds. You stay invested under the Growth option of the mutual funds without taking out the profits. This is to remain invested until you redeem the mutual fund. The capital appreciation of mutual fund gives you a return when you redeem the mutual funds. Suppose, you have bought a fund worth Rs 50,000 with NAV of Rs 50. The unit you have is 1000 nos. After five years the NAV is Rs 100. The capital appreciation of Rs 50 per unit is the return on investment. Hence, the total return on the growth option when redeeming the fund is Rs (100×1000) – Rs 50,000 = Rs 50,000. The dividend option of mutual funds gives you the part of profits in the form of a dividend. Those who need some regular income along with capital appreciation can think of this investment. Moreover, the dividend option works better with the debt funds as they are less volatile and less risky. One can expect a modest payout even at the market downturn. The dividend option has two more sub-options- dividend payout and dividend reinvest. 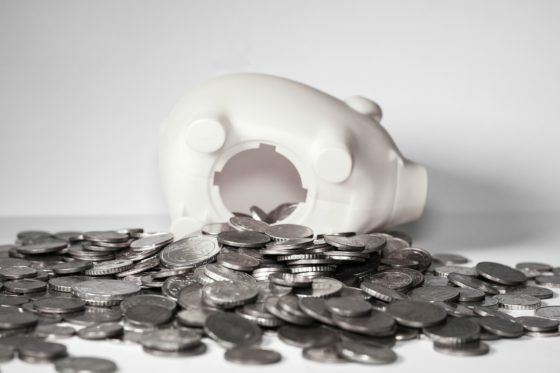 The dividend is paid to the savings account at regular intervals and dividend is getting credited to the existing fund in case of reinvesting option. As it is already discussed that value of growth mutual funds increases as time passes. The profit gets reinvested and the invested amount increases like the compounded return. But for the dividend option, the fund declares a dividend from the accumulated fund. It does not necessarily mean that dividend is declared from profit only. It can be from invested capital also. In this case, the NAV becomes down than the existing NAV after paying the dividend to the investors. In this regard, dividend reinvest is a good option because the dividend is again invested in the same fund and your units are increasing. By this way, your total invested capital is in the same place and tracking will be easy. The taxation on growth funds is different from the tax treatment on dividend option of a mutual fund. In the case of growth fund, the capital appreciates and when you redeem the fund, you get the entire money. The tenure by which the capital has been appreciated is a factor for tax calculation. If the redemption of a fund is within one year of investment, the capital gain is called as short term capital gain and the long term capital gain tax is at 15%. And if the investment period is more than one year, it is called as long term capital gain which is tax-free. The entire tax treatment for a debt mutual fund is different. Short term capital gain from a debt mutual fund is taxable at a rate of individual’s tax slab and Long term capital gain tax is at a rate of 20% after indexation benefit. If you don’t take the indexation benefit, the long-term capital gain tax is 10%. Here the duration of investment is three years for the calculation of short term and long term capital gain for a debt mutual fund. However, the dividend is tax-free in the hands of an investor. Hence, the dividend from an equity mutual fund is tax-free if it is invested for less than one year. For debt mutual funds, the tax-free dividend income lowers the burden of tax liability for both the cases I.e. Long term and short term. But for dividend income, the fund house have to pay a dividend distribution tax (DDT) for a debt mutual fund. The investor does not have to pay tax on the dividend income but fund house has to pay DDT at a rate of 28.8%. In this way, one can interpret it as a tax on the dividend income. So, the individuals who are in the higher tax bracket can opt for dividend option. This is not much beneficial for the persons who are in 5% and 20% tax bracket. Those who want to invest for a goal and can remain invested for some years should opt for growth option. And those who need regular income with a regular interval can opt for dividend option. Also for an equity fund, there is not much difference between growth and dividend reinvests option of the fund. You may face some challenge while investing the dividend got from a fund. The dividend option works better for older persons who need regular income whereas younger ones should invest with growth option. Yes, you can always switch the funds from one option to another. Remember that switching is taken as the redemption of funds. Hence, switching has some tax implications. Know and evaluate the tax implications and opt for switching for value addition. Also, check the exit loads before switching which may eat your profit. An ELSS fund is locked for three years after the investment. Every SIP in ELSS funds is considered as a fresh investment and it is locked for three years from the investment date. So, if you want to switch the option, you have to wait for at least three years.